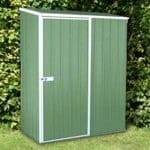 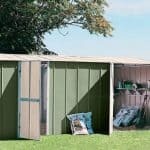 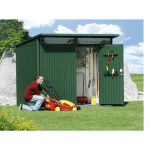 The Premium Metal Garage Easy Build Metal Shed is not only a cheap and cost-effective way of having a new garage installed, but with the patented SNAPTiTE assembly system means that it couldn’t be easier to erect. 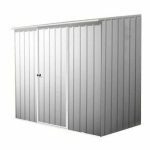 Furthermore, the white titanium colourbond coating offers excellent protection from rust and weather damage, thus helping to keep maintenance to a minimum. 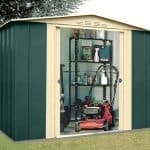 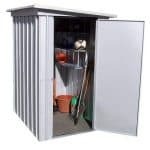 The lockable garage unit is made from sturdy metal panels and is designed to withstand strong winds and other harsh weather. 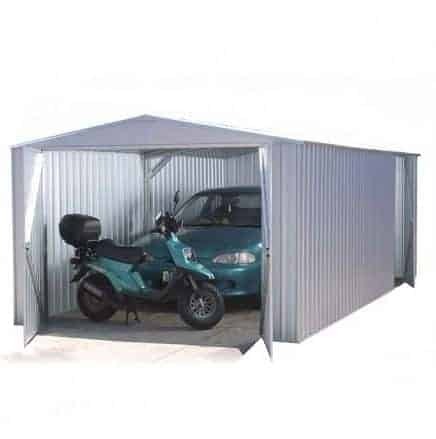 At over 9’10 x 19’8, there is more than enough room for to fit most cars, and potentially even a scooter or small motorbike as well.